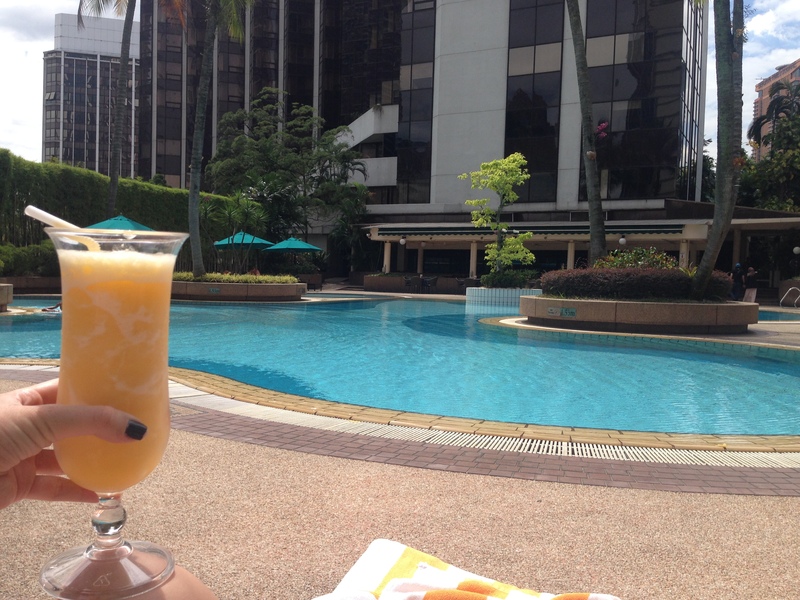 In Kuala Lumpur, I stayed at the Grand Millennium Hotel. 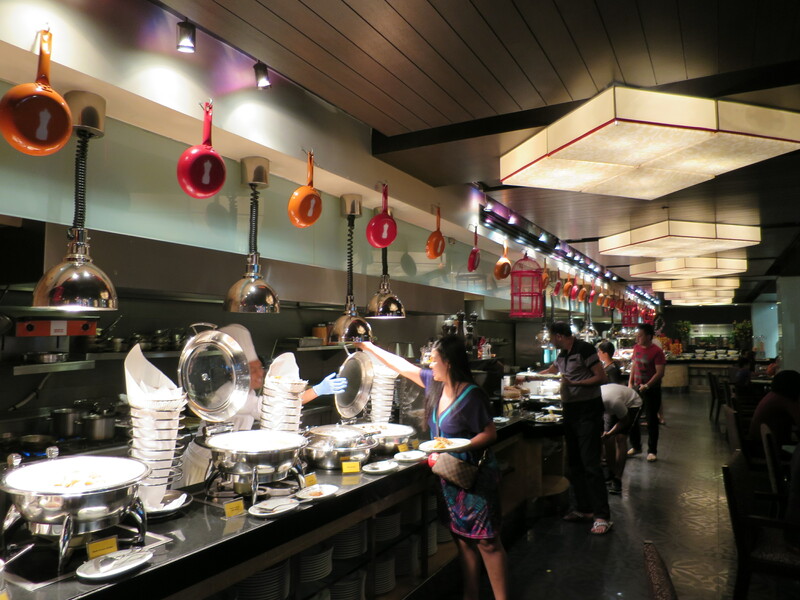 It had an extravagant buffet breakfast – probably one of the biggest I’ve ever seen. 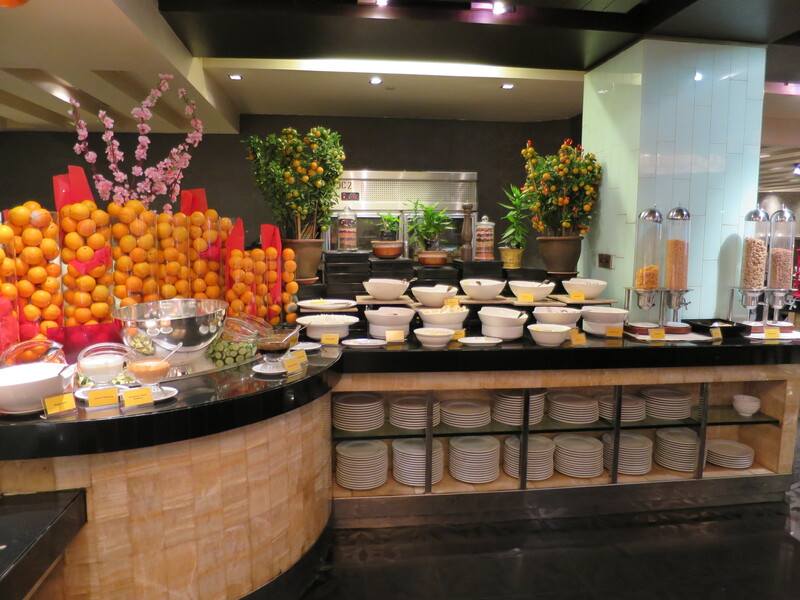 But of course, a buffet breakfast isn’t really that exciting to me between the nuts, lactose, avocado and egg allergies. I just have a few things to mention in this regard. Firstly, they had peanut butter by the breads/rolls, of course. This is pretty standard and hoping for the all-loved PB’s expulsion from the breakfast buffet really is just wishful thinking. Usually, I’ll take my little sealed sachet of butter and my toast and live happily ever after. And usually the peanut butter is similarly in a little sealed sachet, whereby the person eating it will spread it at their table, hopefully far away from me (although I always seem to find myself sitting next to or opposite the one person in an entire room full of people who is eating peanuts.. but that’s another story). But in this case, at the Grand Millennium, all of the spreads were in giant jars sitting next to each other with a serving spoon. Not quite as contained. I obviously wouldn’t go near the other spreads in this case, but the problem was that it was also sitting right in front of all the breads and rolls. I probably would have assumed it would be OK until I saw a lady balancing (and yes, I really do mean balancing) her plate on the ledge above the spreads trying to get the peanut butter off the spoon and onto her plate. There was a lot of maneuvering and waving about and it obviously made me feel pretty uncomfortable. So I ran for the hills. 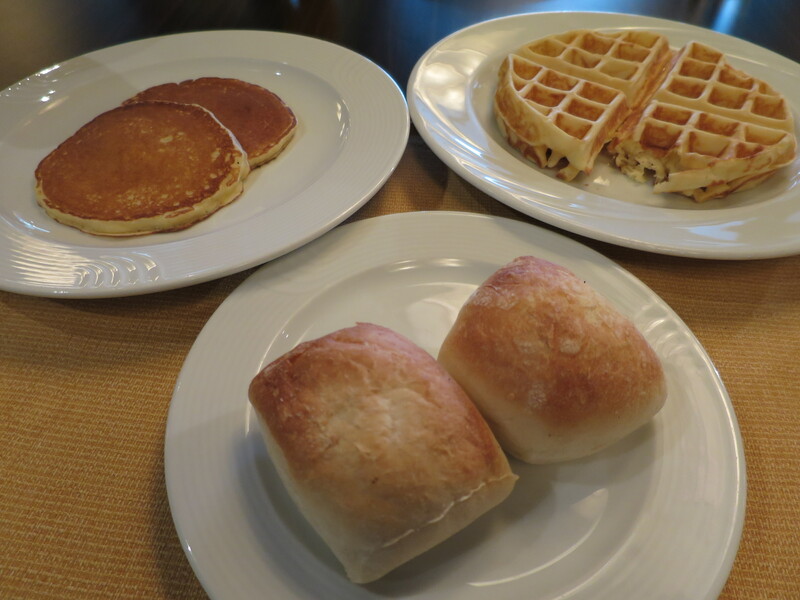 Luckily, the very nice head chef assisted me and brought me my own plate of waffles/pancakes, with maple syrup, and a roll, with butter, from the back “safe” zone. Phew. It wasn’t just that though. The next day my mum went and served herself some coconut spread and found a dollop of peanut butter in the coconut spread. Uh oh. This always has me really perplexed. Because for a brief moment I’m thinking “OMG WHO WOULD DO THIS? This is so inconsiderate and people really should be more careful”. And then I have to stop and remind myself: most people in the world are “normal” and invincible and can withstand a little bit of peanut butter in the coconut jar, even though I can’t possibly imagine how that combination would taste good. Most people do not have the slightest inkling of a thought about why this would be a problem. And most people, even if you pointed out that you were allergic, probably still would not realise why this was such a problem (and certainly their idea of “being careful” would not be even close to my standards). I guess I haven’t really imparted much wisdom upon you, because you would probably already know the risk of cross-contamination in a case like this. But there, I said it. Perhaps more importantly was my discovery of red peanuts. Maybe I’m just a bit behind, really. But after having a browse of the buffet I concluded that there weren’t any nuts standing out. I’m sure there were nuts hidden within some of the hot meals (and might I just add: I don’t understand how anyone can eat curry in the morning), but no peanuts jumped out at me, to my surprise. After getting my special plate of food, I sat down at the table and declared to my family “oh – I didn’t even see any nuts”. 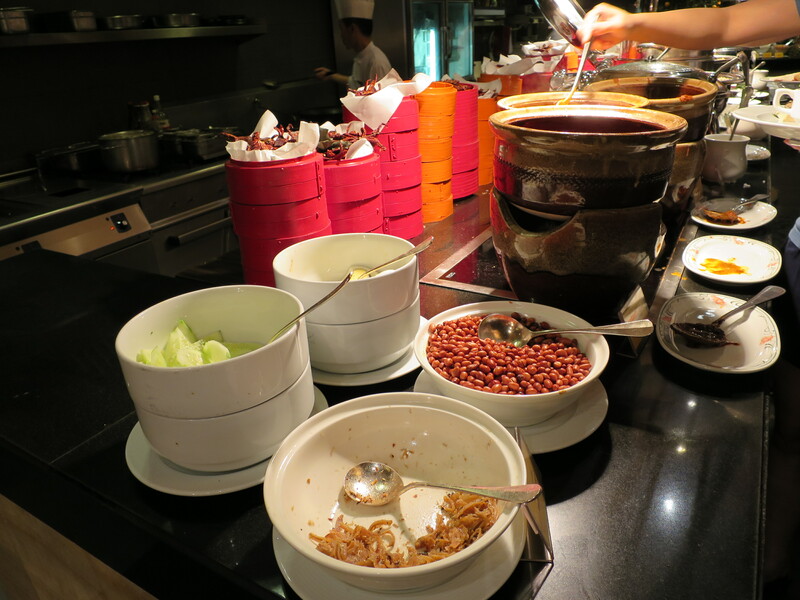 Apparently I had missed the memo because there was a giant bowl of red peanuts next to one of the curries. It wasn’t that I hadn’t seen this bowl, it was that I didn’t think they were nuts! They looked like beans to me. I would never have thought they were peanuts. I guess my excuse is: if there are peanuts around, I’m outta here so how would I know all the different types?! Nuts aside, I still got to enjoy my waffles (which I LOVE) and had a substantial, filling (but probably not so healthy) breakfast. I also got to enjoy some delicious fruity ice blends poolside which were super refreshing, healthy (hey, they were full of fruit!) and nut & dairy free! What a life! I guess my main piece of advice that comes from this post is to not hesitate to ask to speak to the head chef. They will advise you of what you can and can’t eat and will bring you a special meal if necessary. I haven’t ever come across a head chef that wasn’t super helpful and accommodating. So don’t miss out or take a risk just because you are too afraid to ask! So I will conclude by saying that you definitely learn something new, maybe not every day, but definitely in each city you visit. And I will continue to share my learnings with you all!